What types of blog posts can I create to boost blog income? In this post I will share with you 9 types of articles you can produce, to start earning more money from your blog. Before we get started though, I first want you to answer a few questions about your blog. It’s important. Who are you writing for, as in who is your target audience? What kind of problems are you trying to help your readers find solutions for? You first need to know who you’re writing for. The type of audiences or customers you’re trying to attract. You then need to learn what kinds of problems your target audience is having, and how you can best help them to overcome those problems. What’s any of this got to do with writing affiliate blog posts to boost your income? It’s very simple, the importance of understanding, helping and serving your community comes before profits. What kind of tools, apps, products or services to recommend to your audience, and how to best present those things on your blog. Product focused tutorials including videos. Recommended tools and resources page. Now let’s dive deeper into these 9 awesome post types, and learn how you can use them to boost your blog income. One of my favorite ways to create income from writing blog content is to teach or educate my readers/audience. I love to teach others. This is very simple thing to do and can be very rewarding at the same time. People love to learn new things that will help them become better at doing something. So here we go. 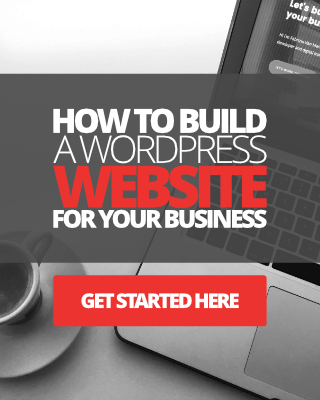 Chances are you’re already using a bunch of awesome tools, apps, other products or services to build your blog, right? All you have to do is create some in-depth tutorials on how to set up, and use those tools, products or services the best way possible. You can spice up your tutorials with screenshots, photos, detailed step-by-step instructions, and even create a video walkthrough tutorial to add to your post. Videos will help you boost conversions like you’ve never imagined. According to this article on Insivia, shoppers who view demo videos are 1.81x more likely to purchase. Once you have your tutorials set up, you can mention the tool or app you’ve been using in the tutorial, and then add an affiliate link or two to these. Here are some links to tutorial articles that currently help me to boost my blog income. You can view them to get some ideas and inspiration to create your own. 12 tips for creating a powerful email capture landing page. The complete guide to setting up MailChimp with Thrive Leads. Another popular type of blog post to boost your income is those beloved product reviews. Now product reviews are everywhere online. Chances are you’ll be competing with many other bloggers reviewing the same product or service. Your objective is to make yours the best out there. To make it stand out like a sore thumb, and the best way to do that is to ‘overkill on the value’. If you’re able to make your product reviews truly shine, chances are you’ll beat off your competition and earn more clicks and therefore more income. Here are some examples of product reviews on my blog, so you can see how to write your own, maybe write them even better than mine. Check out this post to learn how to write product reviews that convert into REAL sales! These can be extremely powerful, in terms of how they can help you make more income from multiple affiliate products or services, from one single post. Most importantly, I need to add, how they can benefit your audience. Remember what I said earlier, serving your community the best you can should come before trying to make money from your blog. An example of product comparison review post. As consumers, we love to compare things before we buy, whether it’s online or offline. It helps us with our buying decisions. Unless you’re anything like my wife who will spend hours comparing two brands of sliced bread, to see which one has less junk in it and which is better value for money. No seriously, joking asides, take two or three hot products in your niche right now, and write about them in great detail, comparing each one of them against each other. Here are two examples of product comparison articles I’ve written on Magnet4Blogging. 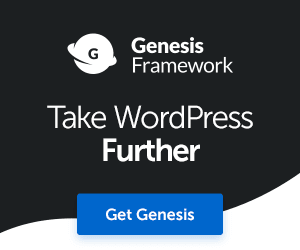 Do you have a recommended tools and resources page for your blog? If you do, great! Go and check your analytics to see how popular this page is right now. If you’re scratching your head feeling a bit puzzled as to what this page actually is, let me explain. A tools and resources page is essentially a static page that lists all of the tools, apps, services, technologies that you use for your business or blog, and therefore recommend them to your audience. 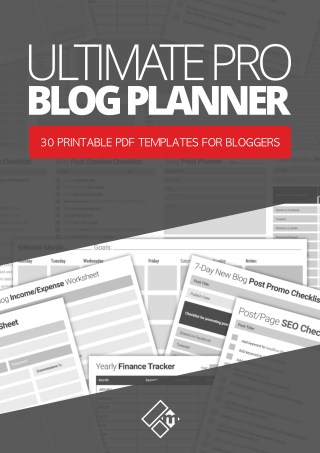 This page can really help you boost your blog income, especially if you have it prominently linked from your most popular blog posts, and of course in your main navigation menu too. Check out my recommended tools and resources page for inspiration on how to create yours. If you need assistance, I’m here to help. Everyone loves a great list post. In your list, mention a few of the tools you’re using and add your affiliate links to them. Have you ever heard of that saying? People love to see for themselves, proof or evidence that something actually works. 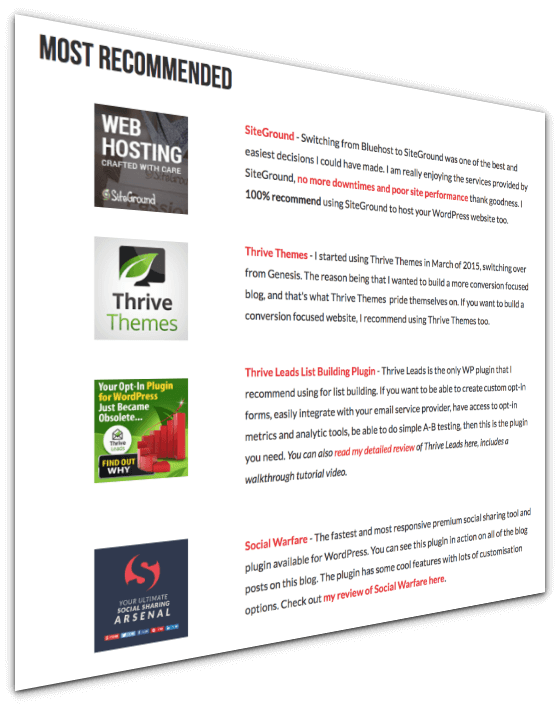 For instance, let’s say you were able to boost your blog email signups using this amazing list building tool. You could write about it, explaining how you used the tool to increase your signups. Simply by sharing your methods and strategies. You could write about the settings you used, complete with screen captures, charts, and graphs to back up your claims. I’m just giving you an example here. Case study posts can not only help you increase income conversions, but also give your blog some real credibility and authority, which in turn will help you gain more trust from your audience. That has to be good right? Because the more people trust you, the more likely they’ll buy from your blog. Whilst blog contests are very short lived, in other words, they’re far from being evergreen content, you can still utilize them to help you boost interest in a particular product, as well as boost traffic and income. Find the hottest products or services in your niche right now. Either invest in these products or services yourself, out of your own pocket. Or ask the product creator/owner to help out by donating a copy of the product. Create a contest on your blog, promote it like crazy and give away the prize to one lucky winner. You can add an affiliate link to the actual product or service itself, as chances are you’ll have visitors who will want to purchase this product for themselves straight away, without participating in your contest. Do you publish a monthly, quarterly or even a yearly income report on your blog? 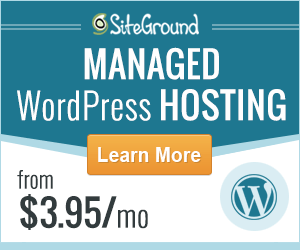 These types of posts can really help you boost your blog income like nothing else. Many income reports on blogs will consist of a list of income streams. Alongside each of these streams, there may be a link to an affiliate product and service. Because income reports have the potential to attract a lot of interest, people love to check out what you’re promoting to make money and therefore check out some of the affiliate links in your report. Finally, we get to the ‘almighty’ expert roundup posts. Now if you aren’t familiar with these types of power articles, then you’re going to love them. These posts are essentially made up of content submitted by other users. Mainly industry influencers, other bloggers etc. You can create an expert roundup post for any purpose. How can you create one that can earn you money? Brainstorm some quality questions you might want to ask your influencers. Again this is just an example of what question you could ask. When you have enough answers from people participating in your roundup post, you can begin putting together your post. Next step is to add affiliate links to a few of the tools or apps mentioned in the post. These might be things you’re using yourself too. Check out this post to learn how to create your first expert roundup post successfully. So there you have it. 9 wonderful types of blog posts to boost blog income. Now go and experiment with some of these, and let me know how you get on. I’d love to know. Are you using any of these types of blog posts to help you monetize your blog? If you’re not, are you planning to now you’ve read this post? If you are, what’s been the most successful type of blog post for you? Leave me a comment below if you wish, share your thoughts as always. Bloggers: When Should You Monetize Your Blog? 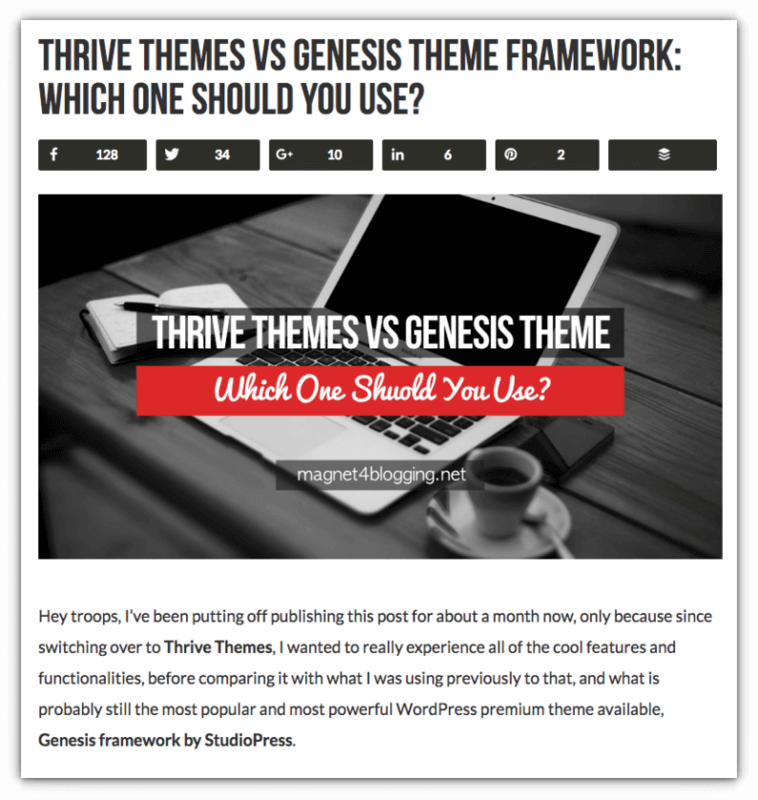 Thrive Themes vs Genesis Theme Framework: Which One Should You Use? All the post types rock for boosting profits BUT the first 2 steps you noted make the difference. Nothing works until you understand your audience. Well. Meaning, listen to them. Ask questions. Listen for answers. Assess which posts do well on social media, with comments, with overall engagement. Easy way to increase your profits but most blogger put little thought into the process. Why? They are desperate to make money so they repel money-making ideas. Which is why I am huge on doing the mental work. The inner game of blogging. My blog, eBooks and courses stress how money really flows from within. Your income is a subconscious conviction, ultimately. Fab post Fab 😉 Have a great weekend! Thanks for checking out this post. And yes, you nailed it with reinforcing the “understanding your audience part”. If anyone knows more about that it has to be you. I think a lot of us who started out was caught in that mind-set of being desperate to make money. I hold my hands up and say yep, I was looking for the easy route. When I started out in 2010 with this whole blogging thing, I remember seeing a lot of hype about how those celebrity bloggers were making huge income and living the dream lifestyle. Whilst almost none of them would actually share how they were making their money. New bloggers would get caught up in that hype and their eyes would light up like a rabbit it headlights, and often forgetting the critical piece of advice they got about “knowing their audience first”, building connections and nurturing relationships online. Keep rocking with BFP dude, you’re a HUGE inspiration. All of these types of posts work very well. But as Ryan said, the first two steps makes a big of a difference. If you don’t know who you audience is and what they deem valuable, then you’ll definitely be running in circles like many bloggers. Thanks for sharing Fabrizio. Have a great weekend!